You are here: Home / Our Blog / Helpful Resources / What Is Escrow? No matter what kind of transaction is being made, whether it be in real estate or not, there is always a level of risk involved centered around the amount of trust both parties have in each other. 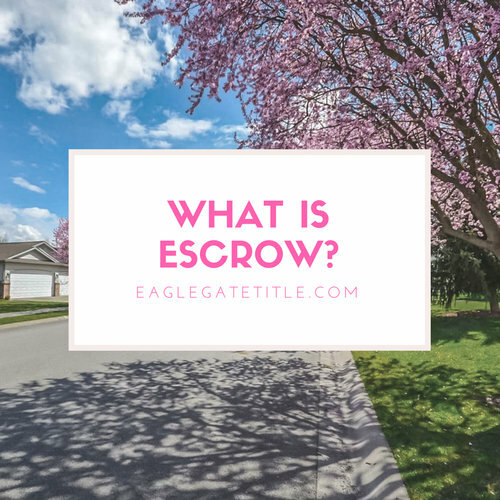 The concept of an escrow was created to alleviate a large degree of this concern as it pertains to real estate transactions, allowing both parties to have greater levels of comfort regarding the safety of the deal. So what exactly is a St George escrow? It is an arrangement that ensures that obligations are met by both parties (buyer and lender) entering into a real estate transaction, accomplishing this by initiating third party involvement who safeguards the asset, acting as a referee, of sorts. The third party is neutral toward both parties and makes sure that their respective responsibilities are met. Often, those responsibilities are more complicated than the seller providing the asset and the buyer paying on time. For example, the buyer may want an inspection performed, or the seller may want additional assurance that payment will be received, or perhaps the asset isn’t a product but rather a service. Because of the sensitive nature of the information involved and the costly nature of land and property, a trusted and recommended St George escrow provider is necessary. Often, real estate agents will recommend an escrow provider to the buyer. In a real estate transaction, the escrow process begins once an escrow officer has received a signed agreement. They review the contract to make sure everything is in order, such as the timely completion and resolution of objections, disclosures, and inspections. Once the ownership of the property of officially transferred to the buyer, St George escrow closes. Typically, the buyer will first be aware that a St George escrow has been initiated when the earnest money deposit is made. This is because these deposits will likely be written to the escrow holder. This alleviates the natural risk involved with writing a check to the seller who could then cash the check and disappear if they so desired. Making these checks payable to the escrow holder provides a safe and neutral place for “valuables” to be held. A St George escrow account is similar in many ways to the escrow process that has been described in that it still represents a third party holding money for the purpose of making sure that obligations are met, but different in that it is an actual account overseen by the lender to ensure that all monthly and yearly payments associated with owning a property are met by the buyer. How does a St George escrow account accomplish this? First of all, a mortgage payment isn’t the only cost associated with owning a home. There are also property taxes and homeowner’s insurance. Lenders have to have some kind of assurance that the buyer will comply with his/her agreement to pay these necessary, particularly in the light of the fact that property taxes and insurance premiums are almost always expenses that are incurred annually and the large majority of people do not and would not budget monthly for these expenses. A St George escrow account alleviates this risk for the lender and makes sure these expenses get paid by adding a monthly fraction of these annual expenses and making them part of the mortgage payment. This money is kept in a separate account, a St George escrow account, so that when the time comes to pay property tax and insurance the money is available. For further questions about escrow, please contact a representative at Eagle Gate Title. We are happy to help you in any way that we can. http://eaglegatetitle.com/wp-content/uploads/2019/02/st-george-escrow.jpg 500 500 aloha http://eaglegatetitle.com/wp-content/uploads/2019/02/logo-300x212.png aloha2019-02-26 16:56:492019-02-27 19:39:39What Is Escrow?